In the Gaming Hut we consider the dividing line between fun character customization and tiresome homework, and whether it’s moving lately. Still in a Draculanean mood, Ken enters the Book Hut for a vantage on the career of Bram Stoker. We rev up the Recommendation Engine for its sophomore run to talk about a movie, a record, some books, and one of our favorite leaves. Then Ken’s Time Machine essays a daring escape as Ken rescues Marie Antoinette. Grab your battlemat and head on over to the Kickstarter for ArcKnight’s Flat Plastic Miniatures. Their new transparency format combines snazzy looks with a great bargain, giving you more figures than competing styles. In the Gaming Hut we look at ways to add nuance to your setting’s faiths by considering the split between official and popular religion. Ken spills blood-red beans on the coming Dracula Dossier Kickstarter in Among My Many Hats. The Food Hut takes on a bookish sheen as we recommend our favorite food writing. Finally, the Consulting Occultist looks at the witch-related thoughts of once-influential scholar Margaret Murray. We kick off with a Gaming Hut riffed adventure premise, as heavily armed lords come from miles around to claim their share of a holy man’s ashes. How to Write Good stacks its deck in favor of the protagonists to show you how to avoid Mary Sue syndrome. Ask Ken and Robin leaves Robin as puzzled as the questioner as we tackle a persistent GUMSHOE fallacy. Venus flies over the Eliptony Hut as Ken serves up the 101 on Immanuel Velikovsky. Atlas Games again devotes its coveted anchor sponsor slot with windmill-kicking promotion for Robin’s Hong Kong action movie roleplaying game, Feng Shui 2, which is Kickstarting even as we speak. Worldspinner makes setting construction a breeze, from the map to the themes driving your adventures. Welcome them to the podcast sponsor roster by showing some geographical love to their Kickstarter. Episode 110: Eat My Orange Slices, Peons! In the Gaming Hut Robin asks Ken to resolve Robin’s ambivalence toward creativity rewards. The Politics Hut puts one of Ken’s rules distinctions to real life use as we contemplate Stability, Sanity, and ISIL. Another lightning round flashes its electrical mayhem in Ask Ken and Robin. Finally Chris Huth prompts Ken’s Time Machine to journey to an even worse version of WWI. 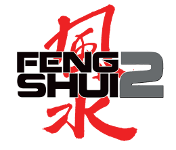 Atlas Games again devotes its coveted anchor sponsor slot to windmill-kicking promotion for Robin’s Hong Kong action movie roleplaying game, Feng Shui 2, which is Kickstarting even as we speak. Worldspinner makes setting construction a breeze, from the map to the themes driving your adventures. Welcome them to the podcast sponsor roster by showing some geographical love to their Kickstarter. Ask Ken and Robin starts us in a murderous frame of mind as Dreaming Johnny wonders about settings and play styles for games where you play assassins. In The Business of Gaming we helpfully collate all of our advice on breaking into game design as a career in one handy segment. How to Write Good finds us looking at contrivances and how to avoid them. Finally the Consulting Occultist gives us the real lowdown on synarchy. Atlas Games again devotes its coveted anchor sponsor slot with windmill-kicking promotion for Robin’s Hong Kong action movie roleplaying game, Feng Shui 2, which is Kickstarting even as we speak. 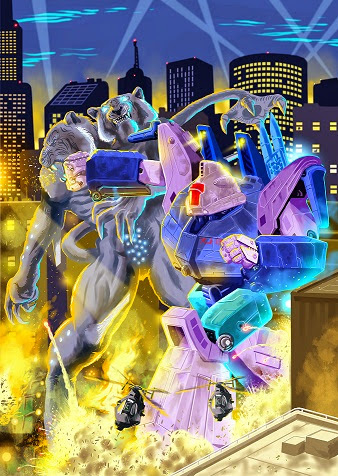 Heroic Journey Publishing joins us to tout their Kickstarter for the Mecha: Kaiju sourcebook for their anime-styled, speed-line riddled Mecha RPG.